White Ribbon has just held the two workshops to help shape the 2015 campaign. Listening to the advice from participants, we have shifted the focus from sexual violence to 'healthy respectful relationships' - a foundation block when attempting to end men’s violence against women. This is an area we are convinced we can make a difference, and the campaign looks forward to sharing some of the learnings from these workshops over the next few months. White Ribbon has branded itself clearly on the impact of male violence against female victims, for statistically, that is the greatest social evil. But more than that, our particular message is to ask men to step up, be accountable and help to change male attitudes. This is the area where we believe we can make the most significant impact, and with your help we can change attitudes and behaviours. At the recently held White Ribbon Workshops over 90 people participated, identifying issues that concerned them, and the areas in which they felt we could focus our efforts. 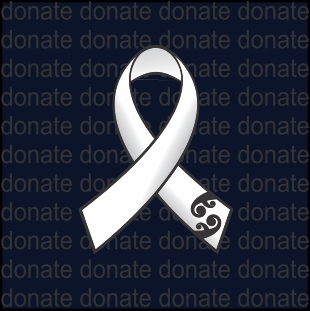 I was privileged to be able to take part in Wellington as chair of the White Ribbon Advisory Committee, while Ric Odom, our chair of the White Ribbon Trust participated in the Auckland. We both witnessed the passion that exists in the community and the willingness to assist us develop a campaign that can make a difference. This month we will also welcome ten new White Ribbon Ambassadors. I would like to thank them for their commitment. April also sees the start of our fundraising strategy implementation. Over the last few years government funding has reduced, and so has our ability to resource the campaign. We must rectify this so we can make a real impact and more than that, we must fundraise or we will cease to exist. Let your tastebuds go into overdrive! Does the thought of a six course degustation menu send you to heaven? If so, please consider bringing along your friends to a fundraising dinner and auction hosted by the Bolton Hotel on 18 May. If you can’t make it, perhaps you have an item or a gift that could be auctioned. The wonderful Bolton Hotel is the instigator of this opportunity and both White Ribbon Campaign Trust and Women’s Refuge are the charity recipients. Your support of this dinner and auction will help us in our transition to being a fully independent charitable trust. And wouldn’t it be wonderful if it became a regular occasion on the Wellington calendar? For tickets (go on, pamper those taste buds) and to donate auction items please contact Helen Kelland, Just Imagine Ltd, or phone 021 474045. Contracted by the Manawatu Abuse Intervention Network (MAIN), Blacksheepdesign’s George Street Dash on 22 November 2014 was the region’s twist on the international ‘Walk a Mile in Her Shoes’ campaign. Read more about this great event here. "I am strong I am a queen"
she's curled up and now she's praying! "how could he do this to me?" "am i ugly?,am i worthless?" how so much hurt and pain is coming from his very hand! her heart and soul may no man steal. 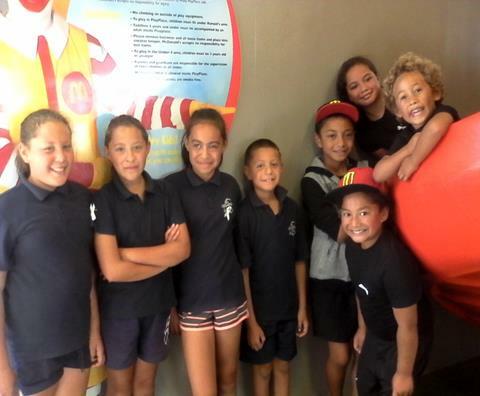 The White Ribbon Rippers at the Hawkes Bay Softball club rooms at Akina Park and at McDonald’s who kindly sponsored the team by donating gift vouchers for ‘The Player of the Day’. 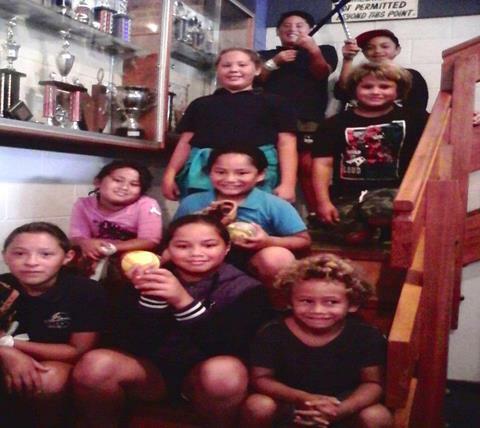 At the beginning of the year a team of youngsters in the tee ball section of the Hawkes Bay Junior Softball competition was entered by their coach Rhonda. They called themselves the White Ribbon Rippers, and the children were aged between 5 to 9 yrs. of age. They played on Saturday mornings and the team wore white ribbons on their sleeves and/or a white ribbon arm band. They would often discuss its meaning and by the end of the season, the children had a real appreciation for the kaupapa taking responsibility for prepping before each game with no prompting from their coach to don their white ribbons.